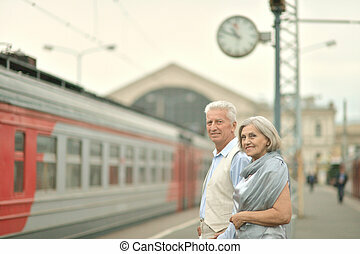 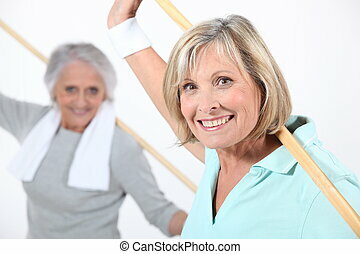 Elderly woman training. 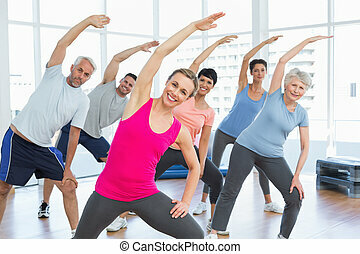 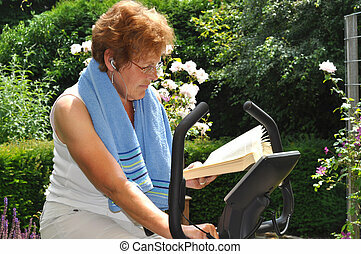 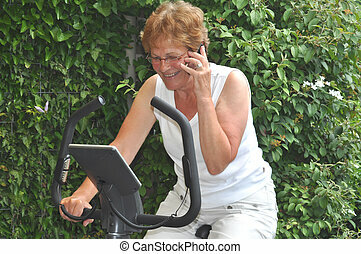 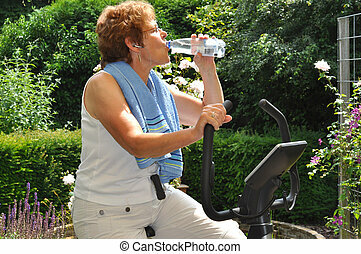 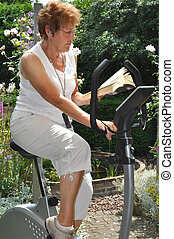 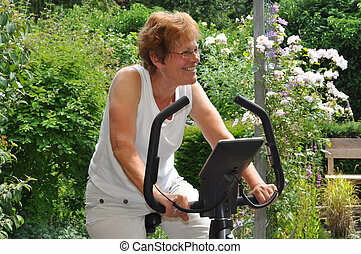 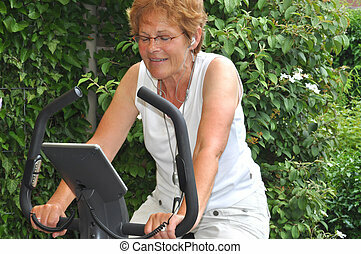 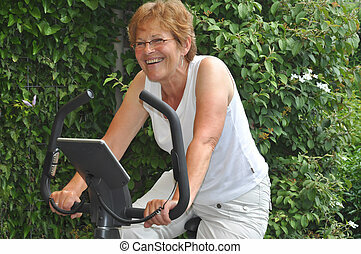 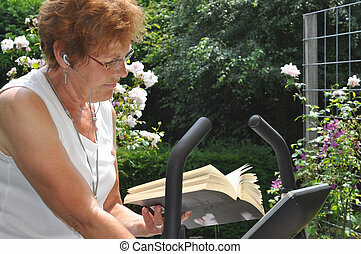 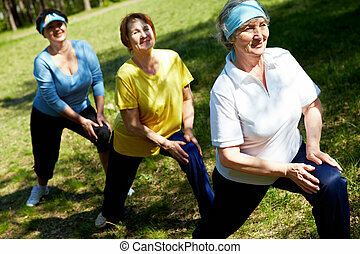 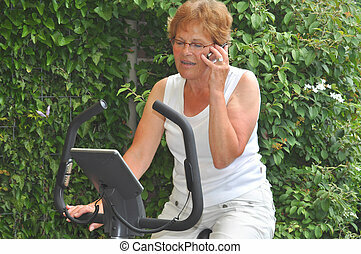 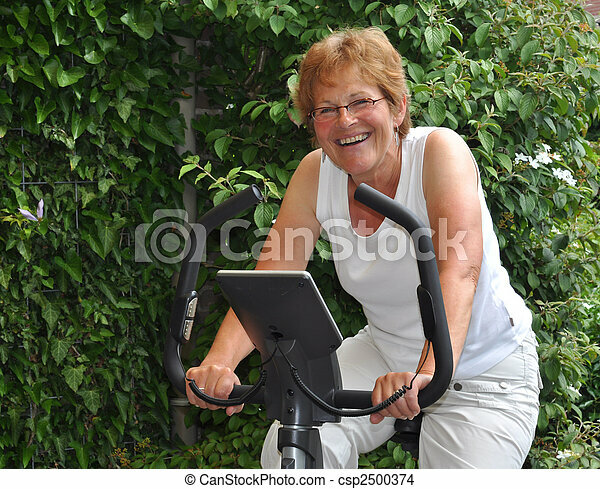 Elderly woman doing her excersize. 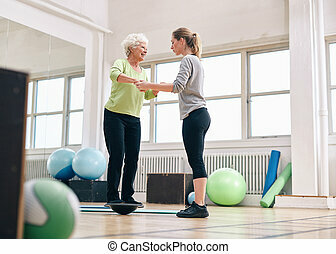 Female trainer helping senior woman in a gym exercising with a bosu balance training platform. 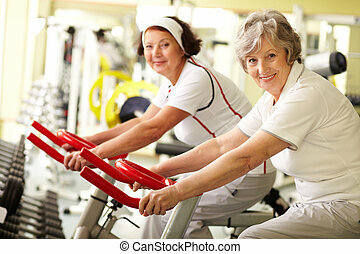 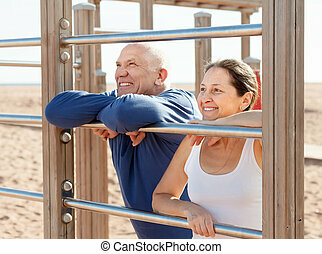 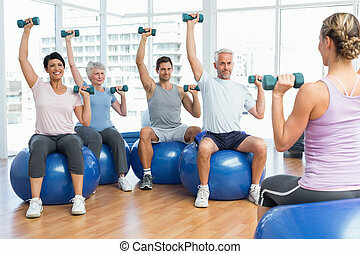 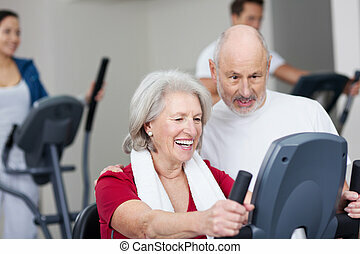 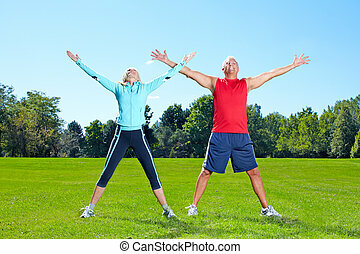 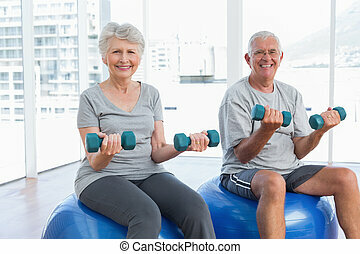 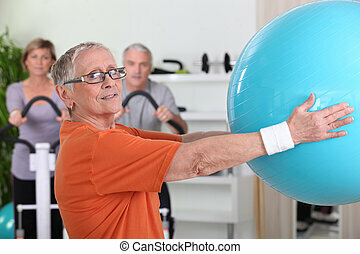 Elder woman being assisted by gym instructor while workout session. 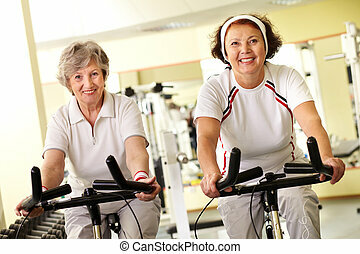 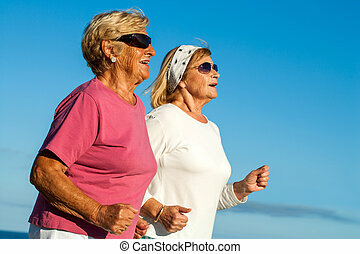 Close up portrait of two elderly women jogging outdoors.